A smart and stylish women's lab coat at a great price! 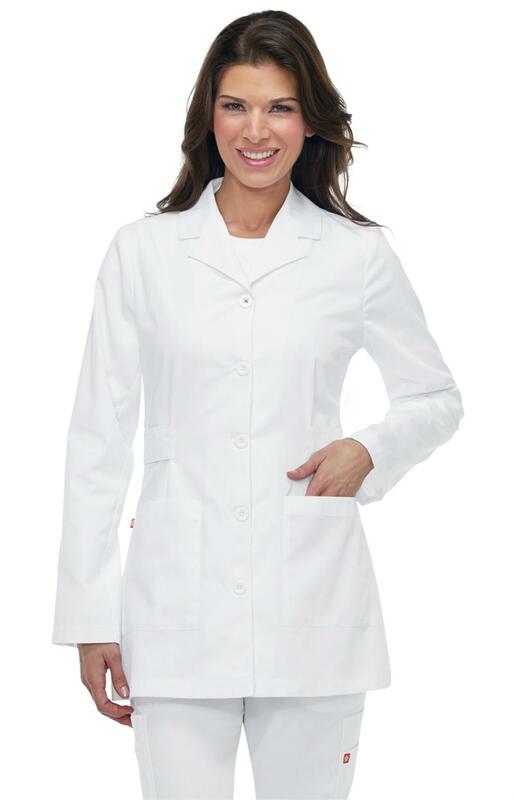 Features Sporty design thats less boxy than traditional lab coats, topstitching to highlight design detail, side waist tabs for shaping, and two patch pockets. Made of 65% polyester, 35% cotton.